Are you as excited as we are about the Valencia/Lough trade? It was a swap of two complimentary players – hopefully, the O’s will remember that Lough is not an every day player. Scott is hopeful he can develop into one, Jake is annoyed that Lough’s presence will probably preclude the Orioles from even trying to get a real left fielder. Scott encourages the #YoLough hashtag. Jake cries a little bit. The guys take a look at the Balfour debacle, and note that the media is wagging its finger at the Orioles for a situation the media itself created. Whether the Birds were in the right or not about voiding the Balfour deal, making deals contingent on a physical is an industry best practice, and it’s on the media that the deal was announced in what turned out to be a premature fashion. After a brief (and depressing) discussion of potential closer replacements, the guys agree that a significant signing to improve the pitching staff is unlikely. Who had a great week? Who had a terrible week? 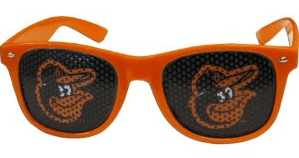 Who made us ashamed to be Orioles fans? Find out in this week’s GB&U. The guys run through their Good, Bad, and Ugly. Listen to BEV on iTunes! You can find Bird’s Eye View all over the web, including iTunes. Be sure the check for the show, and leave us all sorts of favorable comments and ratings. Flattery will get you everywhere, you know.